The political stalemate in Georgia is taking a new twist. 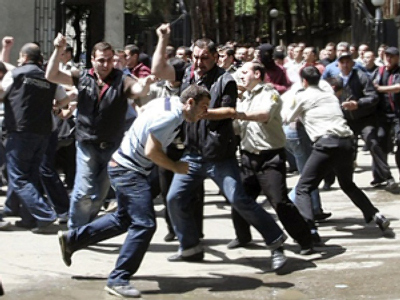 The Georgian government has recently worked out a draft law on manifestations – something which the opposition stands firmly against. The new draft law forbids demonstrators from setting up roadblocks in case there are “not enough protesters” on the streets. In addition, the opposition will be forbidden from setting up the so-called “cage-cells”, which the opposition has been using as a symbol of what they call Georgia’s sliding into a police state. The police, at the same time, will be allowed to use plastic bullets in order to disperse a crowd. Elsewhere, opposition members, who show any resistance against the police, will be detained for up to three months, instead of a month as was the case before. What’s more, the authorities will be able to fine demonstrators up to $3,000 in case of any administrative offence. 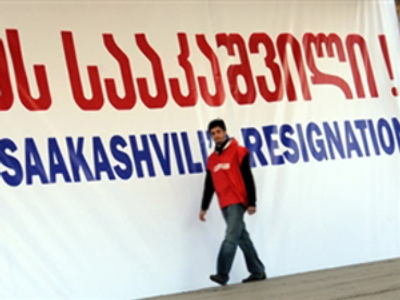 “There has never been such a tough law on manifestations in Georgia. 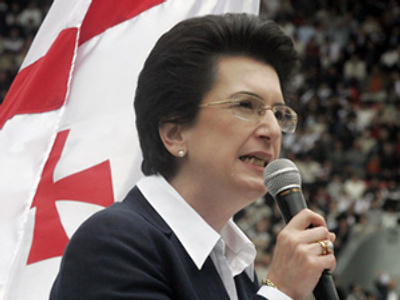 It’s obvious that it’s planned especially to counter the protests,” the parliament’s Christian-Democratic faction leader Nika Laliashvili told GHN news agency. 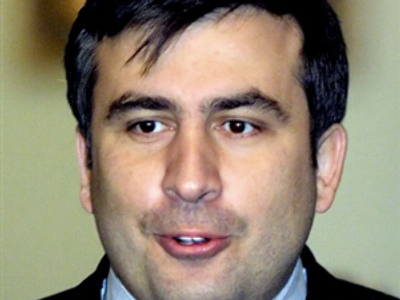 While some of the opposition leaders, including Levan Gachechiladze, are sure the authorities will fail to “put out the opposition fire”, some other bitter enemies of Saakashvili, former Georgian Prime Minister Zurab Nogaideli for example, have suspended their protests until autumn, Kommersant reports. As the arguments within the opposition continue, one of its influential members and the leader of the Alliance in the name of Georgia, Irakly Alasaniya, is calling for a change of tactics. He believes the opposition needs to negotiate with Saakashvili and barter a snap presidential election, or at least a parliamentary one. However, former Georgian parliament speaker Nino Burzhanadze fears the parliamentary election would be non-transparent and non-democratic at all and that the opposition should insist only on the presidential vote. 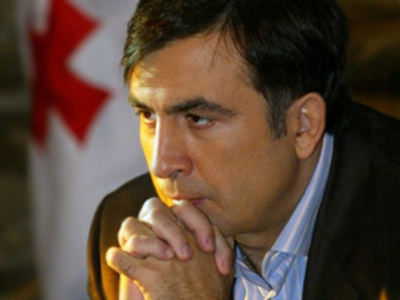 All in all, it's been several months the opposition has been demanding Saakashvili's resignation. However, these arguments will lead to nothing and consequently the opposition will be easily suppressed if the draft law on manifestations is passed. If so, the opposition’s only chance will be to appeal to the Constitutional Court. Meanwhile, observers say that if the country’s authorities manage at any cost to calm down the summer opposition protests, there won’t be any full-scale demonstrations in the autumn. So the ultimate aim of the Georgian opposition, as it is seen now, is to survive the summer. Read more: Georgia and USA prepare another aggression against Russia?